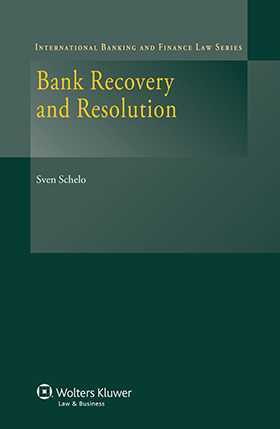 This important new book focuses on the European legal framework under the Bank Recovery and Resolution Directive (BRRD). The author provides you with a clear and easily understandable explanation of the key provisions, procedures and triggers at work in bank recovery, and examines the cross-border issues that the new rules under the BRRD have been created to help. He organizes a highly complex legal system into patterns and action plans that you can apply in virtually any case where bank business is of central significance. special problems of cross-border restructuring. The author compares the European framework with US and other national developments, and includes a full-scale analysis of Switzerland’s regulatory response to the crisis. Challenges lie in the fact that a full seamless global system of bank recovery and resolution has not yet been found, and that major banks are global players headquartered in different jurisdictions and even different continents. The author takes this into consideration, providing guidance for the cases that involve international banking under the prevailing status quo. This work is essential reading for officials and academics in international banking and finance law and policy, who are working toward a global solution. Chapter 2 Bank Restructuring: What Have We Seen in the Past? Chapter 4 Intragroup Financial Support and Early Intervention. Appendix: Secondary Legislation and Technical Standards Still to Come.